Between an audience and a target audience there is lots of difference. An audience is anyone and everyone you can share your work with but a target audience is the one you are looking for. It’s been long known that one of the major factor of a blog to become success in the audience is to get the blog to right set of people. These people are known as Target audience. According to your blogging niche, target audience are also varies. Basically target audience is divided into age groups as well as their interest. Knowing your audience according to you blog niche and topics is one major factor of being a successful blogger. Suppose, you have a gaming blog then join gaming communities and share your blog and articles. Sharing your blog is important not only to the other bloggers you know but also to the normal people who might be in search of some good information online relating to your blog niche. 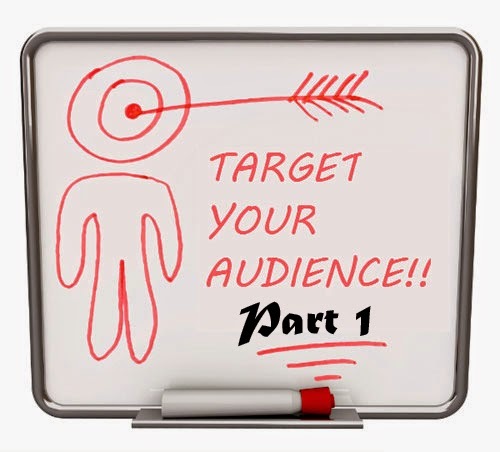 Getting target audience is not hard, but requires a little bit of work. In Today's time Social websites such as Facebook and Google+ have made it very easy for a blogger to quickly share their blog and grab any interested audience according to their blogging niche. To get target audience it’s better to plan them. By planning we mean to properly set up your business profile page on social networking site like Tumbler, Digg , Facebook and Google+. Once your profile is been set, it’s time to get yourself audience for your blog. The best way to quickly find target audience is to get the Target audience set up in the Facebook. This is the latest feature added by the Facebook page its free of cost. Next Part of Target Audience coming soon stay Tuned!! !